The Tides, the second rental apartment building built within the Lakeshore East community, contains 608 luxury residences atop a 57 story glass high-rise. 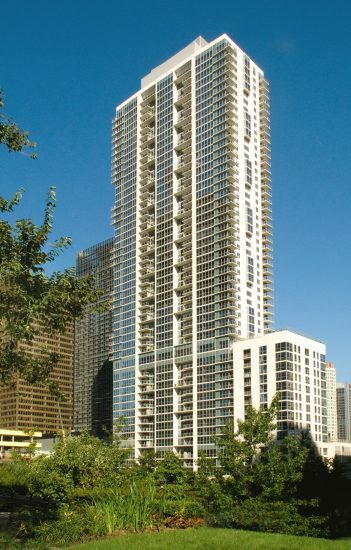 In 2009, the building received the prestigious Property Excellence Award presented by the Chicagoland Apartment Association. On the 16th floor amenities abound in the exclusive Shore Club, a private club floor retreat offering such facilities as a club room, whirlpool, steam and sauna, workout center, outdoor terrace and swimming pool, and game rooms.